The Mt. Olive Pickle Co. Thursday was honored as Wayne County Industry of the Year. 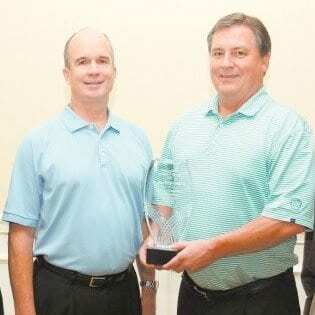 The award was presented during the annual Wayne County Industry Appreciation Luncheon sponsored by the Wayne County Development Alliance and held at the Goldsboro Event Center. It is always a delight to work with the Development Alliance, he said. “It gives us great pleasure to receive this award among our peers, and we just look forward to continuing to be a part of this community for many years to come,” Bryan said. Normally, the winner is not notified prior to the event, said Tiffany Creech, Alliance existing industry manager. It is a great company that was formed on Jan. 2, 1926, by 13 original shareholders, she said. Its products are sold in all 50 states as the best-selling brand of pickles, peppers and relishes in U.S. grocery stores, Creech said. “Even as it has worked to achieve its position as the leading national brand, it has remained true to its original proposition,” she said. “For nine decades, this company has served as mainstay in the economic well-being of its community. During 2016, the company broke production records with 15 million cases, Creech said. Its footprint covers 1.1 million square feet of manufacturing and warehouse space across 150 acres. “We joke in our office that this company has gobbled up every bit of available industrial property in Mount Olive leaving us virtually no industrial property in that area with which to recruit new industry,” she said. 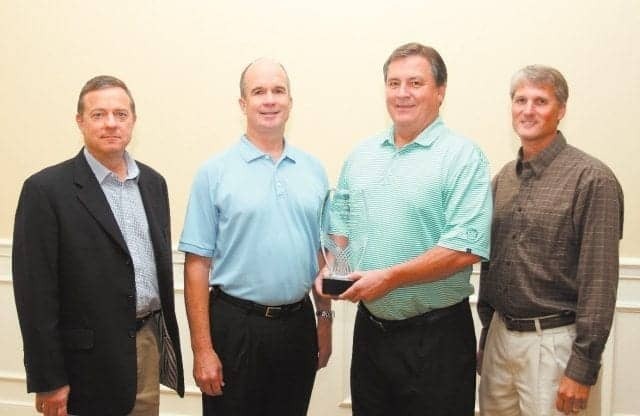 The Arnold-Wilbert Corp. received the Why Wayne Works Award. The award was created a few year ago to replace the Get’er Done Award. However, the meaning behind the award is the same — it goes to a company that gets things done, Creech said. Arnold-Wilbert Corp. began serving Wayne County and eastern North Carolina in the mid-1960s. It manufactures burial vaults and services them for funeral homes in eastern North Carolina. The company currently has 55 employees. Three companies received Milestone Achievements Awards. Created last year, the awards recognize companies that are at an important point in the progress or development of their business. Reuel, established in 1977, manufactures insulators, bushings and conductors typically used in medium electrical equipment for original equipment manufacturers. SPX Flow is celebrating 35 years in the county. It started out as Baker Perkins. It manufactures heat exchangers for commercial baking equipment. SPX Transformer Solutions is celebrating 50 years in Wayne County. It started in 1967 as Hevi-Duty. It builds transformers.